“We put out a request for proposals and had a long list of requirements. We figured that we were going to be using the new system for at least the next 10 years, and if we were going to spend the money on an NG9-1-1 system, we had better make sure we were getting the best." Solacom was able to meet Gatineau's unique requirements and upgrade their legacy analog system to an NG9-1-1-ready system. 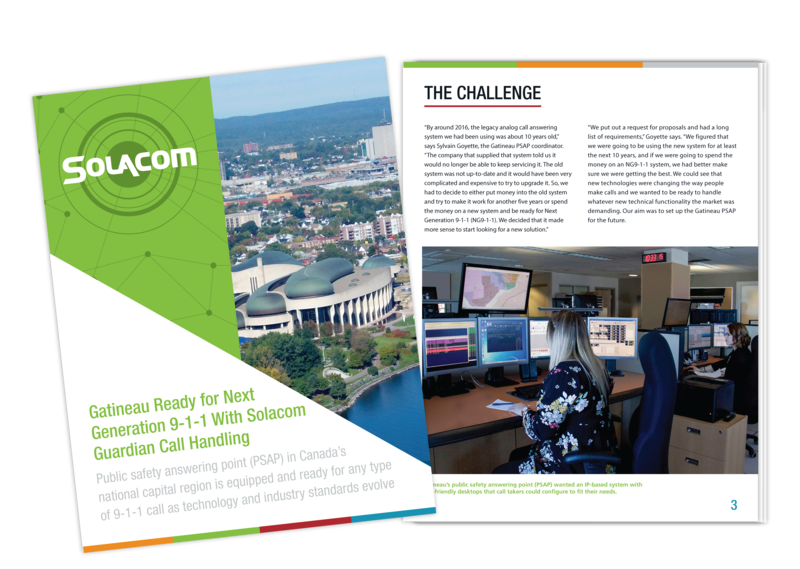 Download the case study to learn more about how Gatineau upgraded to Solacom's Guardian Call Handling solution, making them NG9-1-1 ready.